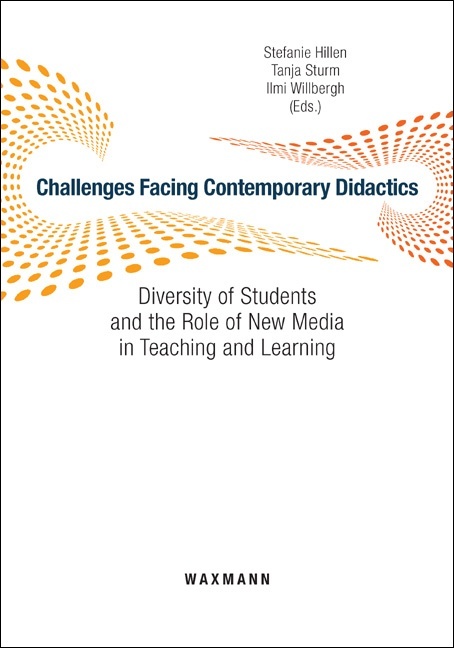 This anthology raises the issue on current empirical and theoretical research approaches in the field of didactics, in respect to diversity, gender and new media. The intention is to show the related contemporary use and the reflections on didactic approaches based on the tradition of Allgemeine Didaktik. The brainchild to use English as publication language pursues the idea to make the concept of didactics accessible for the English speaking world. The attempt is to mirror differences of provisions incurrent societal phenomena: new media, gender, and diversity which educational institutions are facing. It will reveal and demonstrate that this is a common issue which is to be addressed for satisfying the demands and necessities in today’s schooling out of the national educational perspectives given through the different educational systems. This anthology follows the idea to present approaches with their theoretical or empirical results. Thus, the reader will find a bunch of procedures, suggestions, and methods as well as critical questions shaped by the empirical and theoretical reflective work of the Norwegian, Austrian, US-American, and German authors, who contributed to the book.